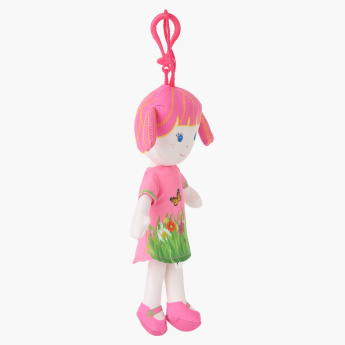 Juniors Printed Rag Doll | Pink | Excellent choice for fun and imaginative playtime. Gift your darling this adorable rag doll and delight in the happy moments she enjoys. Dressed in a lovely floral printed dress, the doll is soft and cuddly which makes her an apt companion for your kid. Feature 1 : Excellent choice for fun and imaginative playtime.